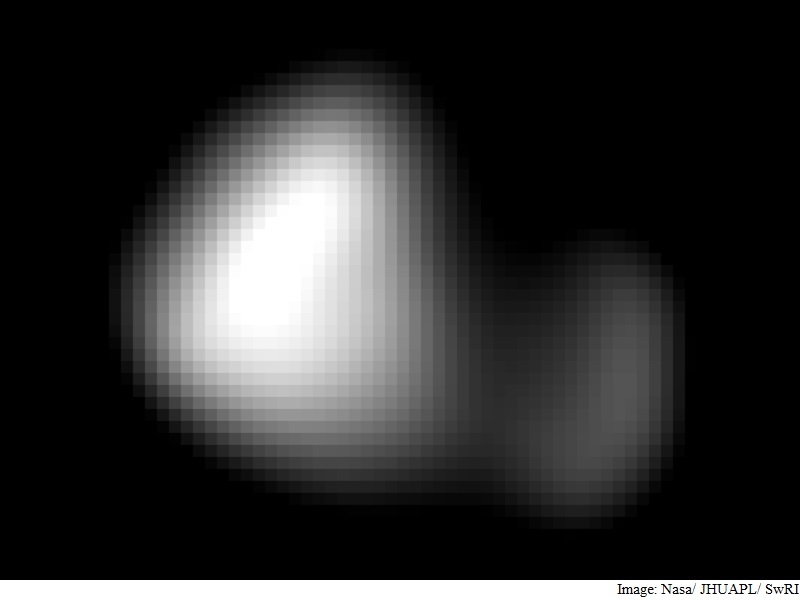 Interplanetary space probe New Horizons has sent the images of Pluto’s moon Kerberos, which appears to be smaller than scientists expected and has a highly-reflective surface. Kerberos appears to have a double-lobed shape, around 12 km in its long dimension and 4.5 km in its shortest dimension, US space agency Nasa said in a statement. “Once again, the Pluto system has surprised us,” said New Horizons project scientist Hal Weaver, of the Johns Hopkins University’s Applied Physics Laboratory in Laurel, Maryland. An image of Kerberos was created by combining four Long Range Reconnaissance Imager (LORRI) pictures taken on July 14. The new data was downlinked from the New Horizons spacecraft on October 20. Scientists speculate from its unusual shape that Kerberos could have been formed by the merger of two smaller objects. The reflectivity of Kerberos’ surface is similar to that of Pluto’s other small moons (approximately 50 percent) and strongly suggests Kerberos, like the others, is coated with relatively clean water ice. Earlier, scientists theorised Kerberos was relatively large and massive, appearing faint only because its surface was covered in dark material. But the small, bright-surfaced Kerberos now revealed in new images shows that the idea was incorrect, for reasons that are not yet understood. “Our predictions were nearly spot-on for other small moons, but not for Kerberos,” said New Horizons co-investigator Mark Showalter, of the SETI Institute in Mountain View, California. The new results are expected to lead to a better understanding of Pluto’s fascinating satellite system. The images of Kerberos taken by Nasa’s New Horizons spacecraft complete the family portrait of Pluto’s moons – Styx, Nix, Kerberos, Hydra and Charon.